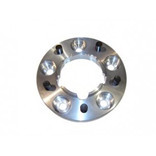 Wheel accessories suitable for the Land Rover Defender. Special Price Inc. VAT: £130.80 Inc. VAT: Info UK VAT charged at 20%. Ex VAT £109.00 Ex VAT Info Outside of EU and EU VAT registered companies only (not UK). Inc. VAT: £62.35 Inc. VAT: Info UK VAT charged at 20%. Ex VAT £51.96 Ex VAT Info Outside of EU and EU VAT registered companies only (not UK). Inc. VAT: £125.99 Inc. VAT: Info UK VAT charged at 20%. Ex VAT £104.99 Ex VAT Info Outside of EU and EU VAT registered companies only (not UK). Inc. VAT: £113.71 Inc. VAT: Info UK VAT charged at 20%. Ex VAT £94.76 Ex VAT Info Outside of EU and EU VAT registered companies only (not UK). Inc. VAT: £134.53 Inc. VAT: Info UK VAT charged at 20%. Ex VAT £112.11 Ex VAT Info Outside of EU and EU VAT registered companies only (not UK). 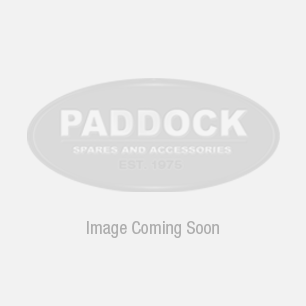 Inc. VAT: £22.27 Inc. VAT: Info UK VAT charged at 20%. Ex VAT £18.56 Ex VAT Info Outside of EU and EU VAT registered companies only (not UK). Inc. VAT: £27.37 Inc. VAT: Info UK VAT charged at 20%. Ex VAT £22.81 Ex VAT Info Outside of EU and EU VAT registered companies only (not UK). Inc. VAT: £31.19 Inc. VAT: Info UK VAT charged at 20%. Ex VAT £25.99 Ex VAT Info Outside of EU and EU VAT registered companies only (not UK). Inc. VAT: £28.00 Inc. VAT: Info UK VAT charged at 20%. Ex VAT £23.33 Ex VAT Info Outside of EU and EU VAT registered companies only (not UK).